Interested in helping shape the future of business? Then get involved with the Executive Advisory Board which is the latest research and online survey discussion platform that we’re reviewing today. Made up of a global community of executives from managers through to director level with members coming from small companies to some of the largest internationally recognized corporations, this could be your opportunity to get involved with like-minded individuals and really contribute towards shaping the future of business. Quite an exciting prospect, which we’re sure many of you would relish the chance to get on board. Established in 1978 in Texas, the Executive Advisory Board is owned and operated by Decision Analyst, specializing in market research and consumer analytics. According to their company website, today the company employs over 175 members of staff and serves the needs of a wide range of Fortune 500 companies who rely on Decision Analyst and its service offer to help them shape their own products and services. So Just How Does Executive Advisory Board Work? 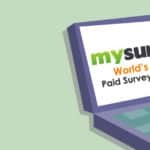 First up, membership is entirely free, so you will never be asked to financially contribute towards the running of the online survey scheme, although you are of course expected to participate by way of active involvement in relevant surveys regularly. So yes, your time is required, and if you do decide to go ahead and become what they call a panel member, you’ll be expected (though not required) to particulate in several surveys each year, which may take up to 10 minutes to complete. The format is usually pretty straight forward and is a series of questions that you will be required to answer. Before you are selected and start contributing your thoughts and knowledge towards the business-related questionnaires, you will be required to complete what’s known as a “screener” or a short introductory survey to assess your suitability and eligibility. How Does the Process Work From a Monetary or Incentive Perspective? For that initial “screener,” you’ll receive a 10-point credit into your account. By moving on to then completing longer relevant surveys you collect a range of different incentives and rewards. These might be in the form of cash, points, free products to test and other ad hoc gifts. Depending upon the length and complexity of the survey that you are taking, those incentives can vary from 700 to 1,000 points, and to put things into perspective, each point equates to one penny. In order to redeem those points and to “cash out,” so to speak, you need to log into your account and have at least 2,500 points before you can exercise this option. For most countries, the payment is facilitated via PayPal. Points accrued can be pending for as long as 6-8 weeks on account of the fact that a survey must physically close before the points and rewards can then be awarded to participating members accounts. To put all of that into perspective, if an average survey rewards 1,000 points and every 100 points is with one dollar, a regular survey is worth $10, and you’d need to complete 2.5 before you could withdraw the accrued benefit. If each survey takes around 10 minutes to complete, you will need to spend 25 mins of your time to receive your first reward. Executive Advisory Board also offers different cash out options so you can choose to donate to charity as opposed to retaining the rewards yourself. You do need to select from a list of pre-nominated charities. If you don’t have PayPal, a check can be issued too. It’s also worth noting that this scheme is eligible to worldwide participants but that only one member per household may join, not on a per individual basis. Are There Any Other Benefits to the Executive Advisory Board Scheme Above and Beyond Monetary Rewards, Gifts, and Prizes? The company would very much like to think so! Due to the interesting and valuable nature of the information being gathered and the varied topics that the questionnaires can cover, it’s positioned as a real opportunity to have your opinions heard and to be influential in shaping future policy and decision-making. You are voting on products and services which can make a real impact in encouraging large companies and corporations to do a better job in understanding and looking after the global needs of their consumers. The process of signing up is entirely confidential, but certain private information is required to be given over about your household and profession before Executive Advisory Board accepts an individual as part of their program. That is all done through a sign-up form, and the company guarantees that your opinions, information, and answers will only be used and reported in statistical summaries and never explicitly divulged. Membership opportunities include both online surveys as well as product testing too. It’s free to join, pays out via cash or charitable donation and is open to international participants. A simple 5-minute screener registration is all that is required, and each average survey should pay about $10.